The Remarkable Vineyard is in Cairnmuir Road, Bannockburn, possibly the best grape-growing locality in Central Otago, producing the multi-award winning wines of Bannock Brae, Carrick, Akarua and Bald Hills. Up until 2007 all the grapes were grown under contract to Carrick Wines. This 4.5 hectare vineyard is on gently sloping, north-west facing land. The soil is a mix of wind-blown loess, schist and sandy soil. It is free draining and ideal for growing top quality wine grapes. The nearby Lake Dunstan provides us with water for irrigation; essential in the desert-like Central Otago climate. The vineyard was first established by Bill Arthur ten years ago and was certified as a sustainable vineyard. We have now taken this one step further and are in the process of converting it to organic grape growing. Recent plantings in virgin soil on a terraced sun-drenched hillside have been done to comply with Bio-Grow’s organic requirements. Our vines are very carefully managed, with all pruning, thinning and harvesting done by hand. 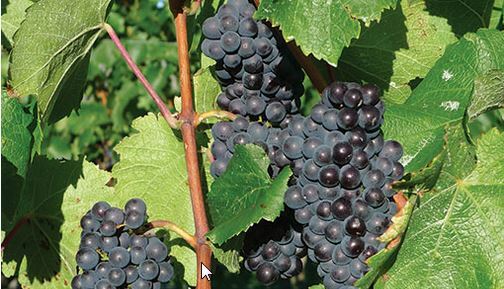 Yield of Pinot Noir is kept to below 6.5 tonnes per hectare and Riesling to 8 tonnes per hectare in order to achieve consistent high quality fruit. Just Across the road is the new Gibbston River Trail, a superb walking and cycling track which starts at the Bungy Jump and follows the spectacular Kawarau River. Start the trail at the Bungy Jump and finish at our café/ wine bar and we will return you to your car (prior booking required).